Minivans are by no means the coolest type of vehicles, but goshdarn are they practical. Any parent will recognize the struggle of trying to squeeze a few kids, a couple of gym kits, and a load of groceries into a mid-size crossover, but many refuse to make the switch to a minivan, preferring to fight with the available space in their current vehicles. But not father of four, Mark Wahlberg. Nope. Marky Mark gives zero hoots about appearances, instead opting to drive a Toyota Sienna minivan. While Wahlberg might not care what people think when he drives up in his minivan, his wife does, instead opting to drive an SUV. 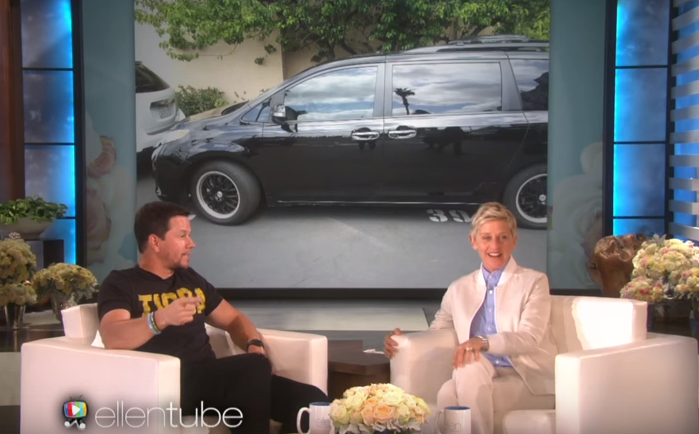 Watch Mark Wahlberg discuss his thoughts on parenthood and minivans in this interview with Ellen DeGeneres.